Top 10 Free Chat Rooms Sites. If you want to make new friend online, or you just want to kill some time, then internet chat rooms might be for you. The list below lists the Top 10 Chat Room websites and does not include the popular Chat Apps, like SnapChat, Whatsapp, Line and others. For a list of the best chat or messaging apps, please visit our page Free Chat Apps. The most Popular Chat Room Websites. This site has some great features like ultra-simple video chat format. This site is very popular for online chat, voice chat and video chat. This website uses abode flash to display video and access the user’s webcam. There is no basic requirement for login and registration. It enables users to upload their profile picture. Chat for free is offers free online chat room with webcam feature. Users can randomly chat with anyone. You can also have video chat with user on the other side. There are various chat rooms available in it like singles, USA, Australia, ladies, Canada, Indonesia, Spanish, Africa, Portugal, Germany and many more like it. you can also add friends to your contact chat, and more you can share pictures with your family and friends. 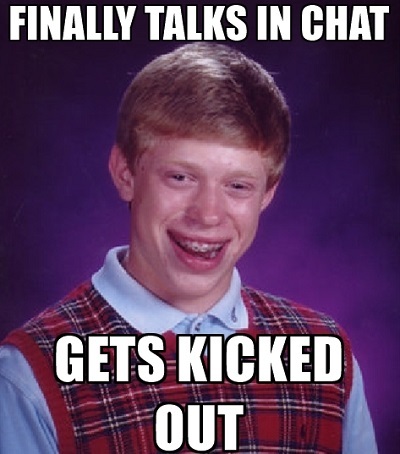 Teenchat is very similar to zobe. You just need to choose a username of your choice. And then click on “join room” and now you can chat. Users need to register themselves on rockchat. And once they are registered they can login by using their username and password. The great thing of using this site is that this works very faster on your cellphone. There are mobile chat rooms where you chat online without any registration however you need to be registered for using inbox feature. This feature allows you to have private chat with users. Enterchatroom allowed you to have free online chat with strangers. This site also has a live video chat rooms. Some another free features of this site are you can watch multiple webcams, group and private chat, instant messaging feature and offline email messaging. You can also see who is watching you along with user profiles with pictures. Zobe is another great site offering you to chat with strangers. And you don’t even don’t need to register yourself with site. All you need to do is just click on link, and on its homepage you will a box prompting you to enter your name. That name is used as username in chat room and next you will see three options describing your age so click on your age and then select your gender and enter in the chat room. Here you can chat in chat room or you can also have private chat with users. This tool allows you to chat with people around the world and make friends. You don’t need to register yourself. Like other site you need to enter a nickname and then press enter. This is another free chat room which does not require registration. Here you can meet strangers and make friends. Justchat is free chat service from UK. It don’t required registration for chatting on it. There are chat forums, email penpals and message boards and all are free and without registration. This site has the lot of chat rooms where you can interact with strangers. There is also country wise division for chat room so you choose as per your choice. Start with the basics, a simple conversation about the things you like.